You might have noticed that there’s a new Halo game coming out. Few video game franchises garner the kind of multimedia marketing blitz that Microsoft’s venerable shooter series does. But the hype is not without merit. Halo has been one of the most successful and influential franchises across the last two generations of consoles. Now, developer 343 Industries is ready to conquer a third with Halo 5: Guardians, the first in the series built for the Xbox One. So while most of the Halo nation is looking forward, I thought now might be a good time to take a look back. Below, you’ll find the entire history of Halo, how it changed video games, and how it affected me as well. I hope you enjoy. For a game that was an instant commercial and critical success, Halo sure had an unlikely beginning. The first time the public laid eyes on Halo, it was being introduced by the one and only Steve Jobs at Macworld 1999. At the time, Bungie was developing the game as a Macintosh exclusive, and while the footage is archaic by today’s standards, many hallmarks of the Halo series were already present. The Master Chief, Warthogs, Elites, and Martin O’Donnell’s classic score not only impressed those in attendance, but rival Microsoft as well. The PC giant was preparing to enter the game console market with the XBox, and needed a killer app to launch their system. They not only bought the rights to Halo, but all of Bungie as well. Halo: Combat Evolved became everything Microsoft had wanted, and more. Launched alongside the XBox on November 15, 2001, it not only made the console a success, it also proved that first person shooters on consoles weren’t limited to inferior ports of PC titles. The game featured gorgeous graphics, tight controls, an intelligent story and a sweeping orchestral score, all of which were unparalleled in the console market at the time. 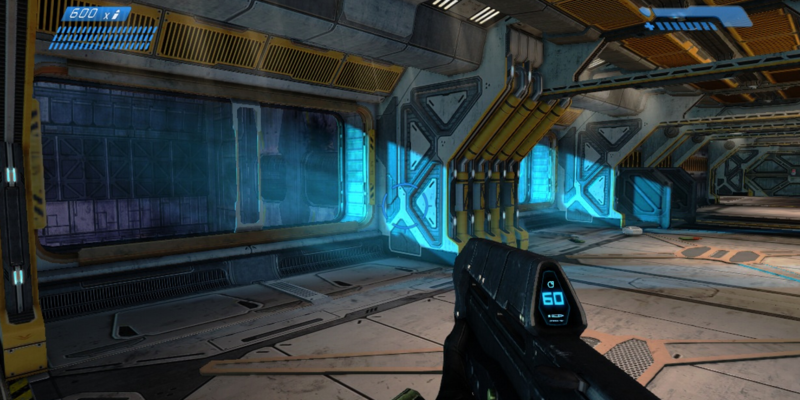 Halo introduced a number of gameplay innovations, including a regenerating health bar and limiting the player to carrying only two weapons at a time. It also included numerous, extended sections of vehicular combat which could have felt out of place, but instead became a defining part of the series. The game’s multiplayer, while lacking online matchmaking, brought the fun of LAN parties to consoles which had previously been the domain of PC owners. MY THOUGHTS: Stepping out onto the Halo ring for the first time was a defining moment in my gaming life. I had been an FPS fan ever since Castle Wolfenstein, but had never experienced an environment like that before. Gone were the endless corridors and drab, boxy rooms. In their place was an expansive open landscape filled with mountains, valleys, ancient alien architecture and packs of vicious aliens all trying to kill me. But more than anything, it was Halo’s story that hooked me. The battles that Master Chief and his AI companion Cortana fought against vastly superior Covenant forces, and their struggle to unravel the mysteries of Halo were compelling. Additionally, the introduction of The Flood halfway through the game, and Halo’s sudden swerve into body horror was legitimately frightening. It is still one of the most satisfying curveballs a game has ever thrown me. The problem with creating a genre defining game like Halo is doing it again. That was the problem Bungie faced in late 2001, when their XBox launch title rocketed the developer to stardom. Bungie’s ambitions for Halo 2 were high, and their hard work culminated in a demonstration at E3 2003 that surpassed even the loftiest expectations of fans. Sadly, very little of what was shown in that demo would make it into the final game. Faced with a looming ship date, Bungie was forced to scale back their goals, and remove or cancel a large amount of content for the sequel. Still, when Halo 2 launched on November 9th, 2004, it was met with near universal acclaim. Fans and critics alike praised the game’s improved graphics and sound. Players also lauded Halo 2’s tighter controls and more varied weaponry, as well as the new ability to dual wield certain guns, adding a new layer of strategy to combat. The game’s biggest innovation was in its multiplayer component, which did for online play what its predecessor did for FPS campaigns. Halo 2 featured a revolutionary matchmaking system which allowed players to choose from a number of gametypes, and be gathered into matches automatically. Halo 2 multiplayer almost singehandedly made Microsoft’s XBox Live a success, and remained the most played title on the service for two years. As successful as it was, Halo 2 was not without its problems. Bungie’s decision to include a second playable character, The Arbiter, was controversial. Also, many felt that the game’s cliffhanger ending felt abrupt and unsatisfying. Halo 2’s multiplayer did not escape criticism either. Matchmaking was rife with bugs and exploits, allowing players to cheat in a number of ways. MY THOUGHTS: I shared some of the criticisms Halo 2 received, especially the numerous multiplayer exploits. Terms like “standbying,” “superbouncing” and “BXR” haunted my dreams for years. At the same time, I had no problem with the cliffhanger ending that enraged many others. I also enjoyed the Artiber’s inclusion, and the insight into Covenant society that he provided. But the thing that sticks with me the most about my Halo 2 experience was the way Bungie writers were able to transform the relationship between Master Chief and Cortana from a simple partnership into something deeper. When the two were forced to separate towards the end of the game, it put the bond that had formed between them in the spotlight for the first time, and foreshadowed a major plotline that would run through both Halo 3 and 4. Even though Halo 2 was a huge commercial and critical success, the game’s release left the developers at Bungie with the feeling that they had something to prove. While revolutionary, the game’s multiplayer was riddled with bugs, and the single player story left players feeling let down. So the stakes were high when development started on Halo 3, which would be the company’s first title for the Xbox 360. When Halo 3 was debuted at E3 2006 with a dramatic trailer and the tagline “Finish the Fight,” fans knew that the game would be the culmination of the Master Chief’s story, and expectations skyrocketed. Halo 3 was released on September 25, 2007 and grossed a record shattering $300 million in its first week, becoming the most successful launch in entertainment history. Once again, the game was met with near universal acclaim from both fans and critics. Powered by a new console, Halo 3 presented the Master Chief, and the universe he inhabited, with a clarity and scope that was a quantum leap ahead of its predecessors. The addition of single use, deployable equipment added variety to every enemy engagement, as did new heavy weaponry which greatly increased the player’s firepower while limiting their mobility. For the first time, players could link up over Xbox Live and play four way co-op, with each player inhabiting a different character in the game. Halo 3 also had greatly expanded online matchmaking capabilities that included a system that allowed players to earn items to customize their characters. Like the two games before it, Halo 3 featured innovations that set it apart from every other shooter at the time. With the new theater mode, players could watch past gameplay sessions, view the action from any angle, take snapshots and record clips. 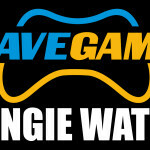 The pictures and clips were then uploaded to Bungie’s website where they could be downloaded and shared with other users. The game’’s other big addition was Forge mode, a map editor that allowed players to add and manipulate objects like weapons, vehicles and building blocks into pre-existing maps to create their own customized environments. Halo fans took Forge beyond the boundaries Bungie envisioned, creating works of art, as well as custom maps that were of such high quality that they were eventually included in official Halo 3 matchmaking. MY THOUGHTS: To me, Halo 3 represents everything that is great about video games. It featured the most enjoyable, thrilling and intuitive gameplay I had ever experienced, and it all took place in a beautiful and intelligently designed science fiction universe. I became addicted to the theater and forge modes, and was able to express my own creativity in ways that no other console game had ever allowed. More than anything, though, it was the story of Master Chief and his struggle to save Cortana that places Halo 3 at the top of my favorites list. As a Spartan II and an intelligent AI, they were misfits; tools of a society that needed them desperately, but held no place for them outside of war. The bond that they shared was as unique as they were, existing somewhere beyond ordinary friendship or love. By the end of the game’s sublime coda, they had discovered that the only place they truly belonged was at each others’ side. Believe it or not, Halo was originally conceived as a real time strategy game. Instead of running around and killing aliens as the Master Chief, players would watch lots of little chiefs run around and kill aliens from high above. Eventually, the game shifted focus and became the classic we all know it as today, but the idea that Halo could exist outside of its FPS box never went away, and would eventually coalesce into Halo Wars. It was the first Halo game not developed by series creator Bungie, and was also the first in the series to be something other than a first person shooter. Halo Wars was released for the Xbox 360 on March 3, 2009. Set 20 years before the events of Combat Evolved, it covers a previously unknown period in Halo lore. Halo Wars was a real time strategy game. That’s right, an RTS on a console. But don’t run away screaming just yet. The game was developed by Ensemble, the studio behind the Age of Empires series. If anybody was going to successfully bring an RTS to the console market, it would be them. The first thing they did was completely redesign the control interface to suit the 360 controller. Then, they streamlined the game’s resource system to focus gameplay more on progression, and less on micromanaging. Ensemble worked hard to stay true to Bungie’s source material, and the result was a game that kept Halo’s visual style, yet was able to establish the brand in an entirely different gaming environment. Even though Ensemble disbanded after the game’s completion, Halo Wars was well received by critics, and was enough of a commercial success to warrant a sequel, which was announced earlier this year. In a way, Halo Wars did for the RTS what the original Halo did for the FPS many years earlier. It proved that the genre was no longer restricted to the PC. MY THOUGHTS: I don’t like strategy games. There, I said. Even “real time” strategy usually feels slow and dull to me. Why tell someone to go shoot the bad guy when I can do it myself? That being said, I wound up really enjoying Halo Wars. For the first time in Halo’s history, the game featured pre-rendered cut scenes, and they were jaw dropping. The gameplay was surprisingly addictive, and though purists likely scoffed, I was thankful for the streamlined control scheme. Who has time for managing resources when there’s so much pew-pew to do? ODST has a unique place in the Halo franchise. Instead of starting big and having to cut away as deadlines loomed, Bungie first conceived of Halo 3: ODST as something far smaller than what it eventually became. Originally meant to be a short two to three hour expansion of Halo 3, ODST steadily grew in scope until it developed into a full, stand alone release. The game was a departure from past Bungie titles in a number of ways, the biggest of which being that it did not star the Master Chief. Instead, it concentrated on a team of ODSTs, or Orbital Drop Shock Troopers, stranded in the ruins of New Mombasa during the events of Halo 2. Halo 3: ODST was released on September 22, 2009, and while not the record shattering behemoth its immediate predecessor was, the game was met with commercial success and critical acclaim. Most of the praise went to the game’s striking differences from Halo 3, including its presentation and narrative. Much of the game took place at night, and since ODSTs lack the Master Chief’s Mjolnir armor, stealth became a key component of gameplay. 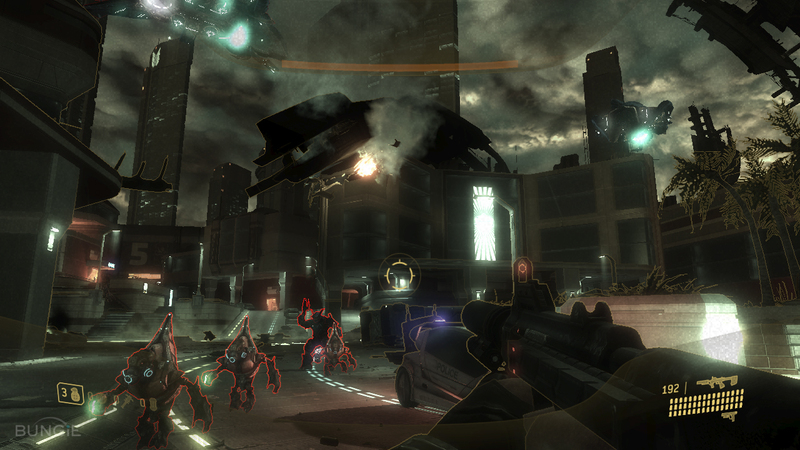 Players are aided by VISR, a system built into the ODST’s HUD which outlined their surroundings, highlighting enemies, friendlies and useful items. Combined with a jazzy soundtrack that traded orchestras and choirs for a saxophone and keyboard, the overall effect made players feel as if they were in the middle of a noir detective story instead of science fiction shooter. MY THOUGHTS: There are some who think ODST was the ugly duckling of the Halo franchise. But many others, including myself, consider it an under appreciated gem. Exploration has always been fun for me, but never so much so as it was in ODST. Shrouded in rain and darkness, the city of New Mombasa was a thrill to explore, and a very rewarding experience. Hunting for bits and pieces of Sadie’s Story, a game within a game, was addictive, as was following the subtle (and not so subtle) hints the city’s Superintendent AI gave me. Also, I have always favored a methodical approach to FPS games instead of the run and gun, so ODST’s tactical stealth gameplay fit my playstyle perfectly. Don’t worry, there’s still parts where you blow sh*t up with tanks. This is a Halo game after all. As the saying goes, all good things must come to an end. Although it wasn’t officially announced until much later, most fans knew that Halo: Reach would be Bungie’s last Halo game. The studio had separated itself from Microsoft, and as part of the deal, the corporate behemoth had retained all rights to the Halo franchise. The writing was on the wall. Reach was announced at E3 2009, and right away, it was clear that the game would be a somber affair. In Halo lore, Reach was the last human colony to fall to the Covenant before the events of Combat Evolved, and was a crushing defeat for humanity’s military. With the Fall of Reach, nothing stood between the Covenant and Earth. Halo: Reach was released on September 14th, 2010, and as was the norm by then, arrived with near universal ciritical acclaim and commercial success. The game set a franchise record for day one sales, and critics lauded its vastly improved graphics and sound. 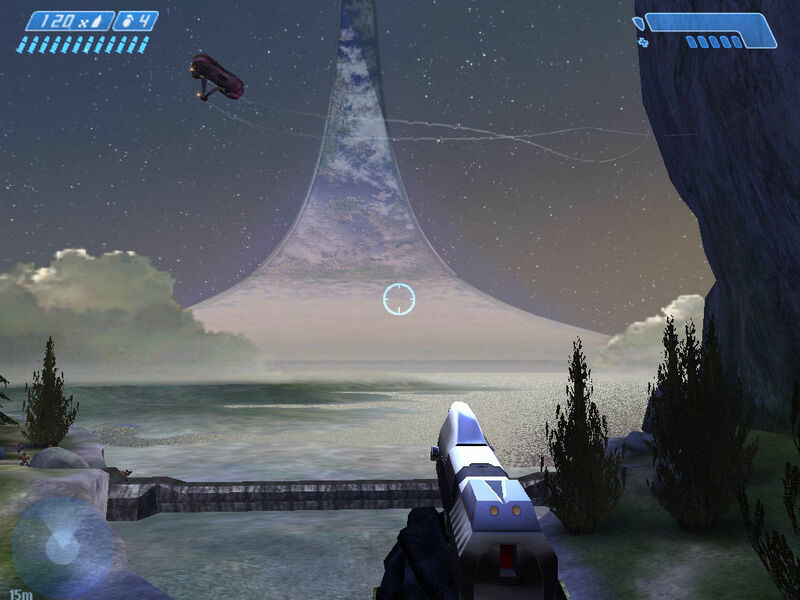 Running on a version of the Halo 3 engine that was rebuilt from the ground up, Reach was able to achieve a level of graphical detail and fidelity that most assumed was impossible on the XBox 360. The game featured massive open environments that, thanks to improved enemy AI, were able to deliver more varied enemy engagements. For the first time, players were able to design their own Spartan character to portray in both the campaign and multiplayer. Another first featured in Reach were armor abilities. Taking the place of deployable equipment, armor abilities were permanent enhancements that could be activated when a rechargeable energy bar was full. The multiplayer included new gametypes including Headhunter, Stockpile, and Invasion. 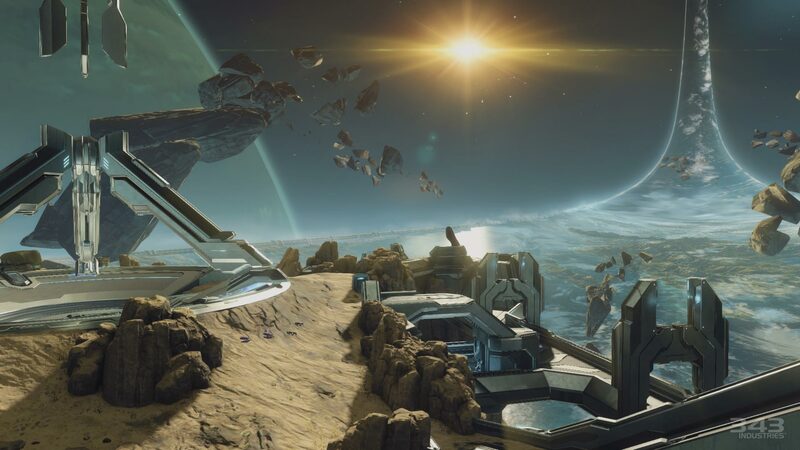 Invasion featured the largest multiplayer maps ever created for a Halo game, and for the first time, allowed players to play as Covenant Elites. Firefight, the popular add-on from ODST, became a full fledged multiplayer playlist in Reach. Theater also returned, as did Forge mode, which was greatly refined and expanded to include its own massive map, Forgeworld. MY THOUGHTS: As Bungie’s stirring “Remember Reach” marketing campaign suggested, Reach told a story of duty, sacrifice and loss. I grew quite attached to my Noble Six, even though her fate was all but assured. Her sporadic dialogue and lack of personal details allowed my imagination to create a complex backstory for her (headcanon ftw) which made the narrative’s emotional gut punches hit even harder. The final revelation of the role Noble Six played in Halo’s history is still one of the most satisfying video game moments I’ve ever experienced. It wasn’t all suffering and sorrow, though. Reach featured the most polished, precise Halo gameplay I had ever experienced. It also had some truly epic set pieces, including an unexpected dogfighting section in orbit. In the end, even though I was sad to see Bungie leave their creation behind, Reach served as a perfect curtain call. How do you continue one of the most successful and influential video game franchises of all time when its creator steps away to create something new? That was the predicament Microsoft found itself in after Bungie shipped their final Halo game, Halo: Reach, in the fall of 2010. Microsoft’s solution was to create its own in-house development studio to take over the future of the Halo franchise. 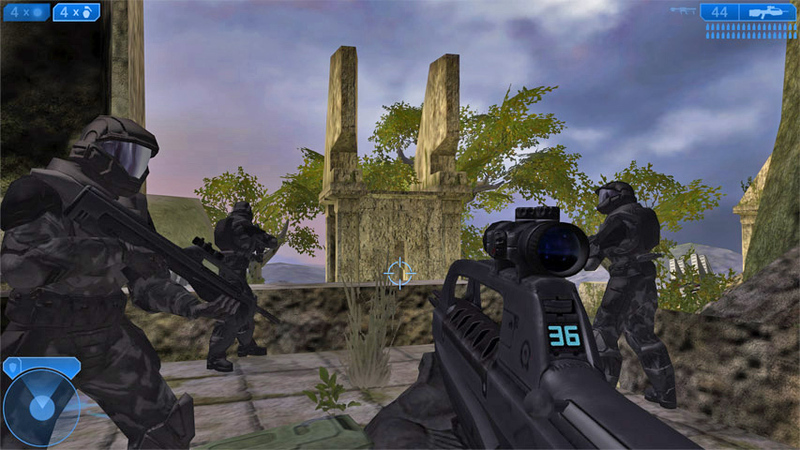 The first project for 343 Industries, as it came to be known, was Halo: Combat Evolved Anniversary, a high definition remastering of the original Halo. The game was released on November 15, 2011, the tenth anniversary of the original’s launch. The most striking change to the game, obviously, were the graphics. While Halo’s visuals were revolutionary in 2001, they had become archaic in the intervening decade. 343 took those aged graphics and added layer upon layer of visual detail and flair. While still not quite up to par with modern shooters, the graphics were a huge leap beyond the original’s, and brought the game world to life in a way that was impossible back at the turn of the century. If players ever tired of the refined visuals, they were able to switch back to the original graphics engine at the touch of a button. The audio was refreshed as well, with a new 75 piece orchestra recording of Martin O’Donnell’s iconic score, and all new in-game sound effects. What didn’t change was the gameplay, which was a decidedly mixed blessing. The controls, enemy AI, and level layouts were left completely untouched, and after all of the advancements that took place in the intervening decade, Halo’s age was apparent. MY THOUGHTS: As an exercise in nostalgia, Halo: Combat Evolved Anniversary was a resounding success with me. 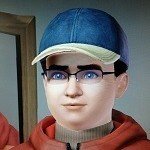 The game not only reaffirmed my love of the franchise, but it also deepened my connection to it. The old memories it triggered were immensely enjoyable. At the same time, some of the gameplay elements, like the idiotic enemy AI and repetitive interior spaces did not age well at all. They reminded me how far the franchise had come in the last decade. Grinding out a remastered classic is one thing. Developing a full fledged sequel to one of the biggest games of all time is quite another. That was the situation 343 Industries faced after shipping Halo: Combat Evolved Anniversary. By 2011, it had been four long years since fans had seen the Master Chief and Cortana; an eternity in gaming years. So when 343 unveiled Halo 4 at E3 of that year, they were certainly feeling the pressure. The game’s explosive teaser set expectations high, as it revealed that the game would be picking up the story right where Halo 3 had left off. Fans had high expectations for the game, but worried at the same time. Was 343 Industries up to the task? Halo 4 was released on November 6th, 2012, and aided by the biggest marketing campaign ever for a Microsoft game, set a franchise record for first week sales. For the first time in half a decade, the attention of gamers worldwide were focused on the Master Chief, and what they saw, for the most part, pleased them. Halo 4 featured, by far, the best graphics ever seen in the franchise, and pushed the aging XBox 360 hardware to its limit. The Master Chief and Cortana received makeovers, as did both their Covenant adversaries and their human allies. 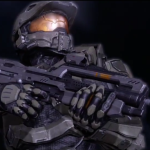 The game also featured a mix of in-engine and pre-rendered cut scenes that set a new standard for Halo cinematics. Halo 4 also introduced a new enemy, the Prometheans; a deadly, ancient race that created all new combat situations for players to tackle. 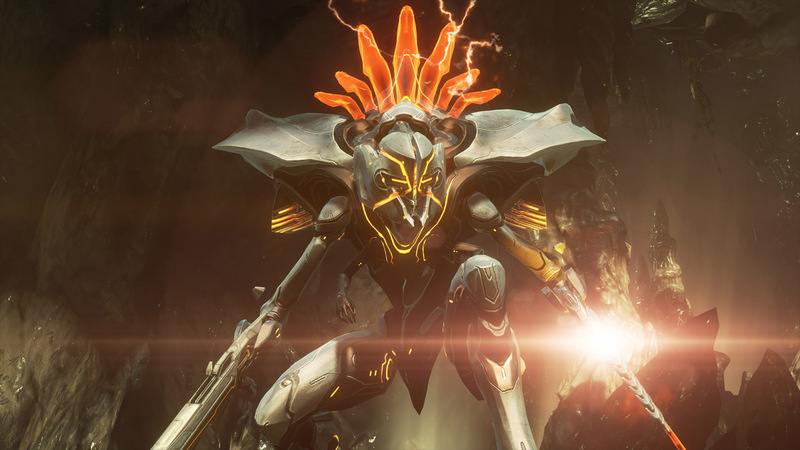 Not only did the Prometheans add new variety to the increasingly stale Covenant enemies, the reason for their presence answered many questions concerning Halo lore while asking new ones. To combat these new enemies, players got an expanded selection of weaponry and armor abilities. 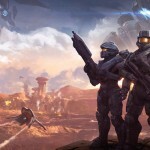 Multiplayer experienced a massive overhaul, immersing it into the overall Halo storyline, and splitting into two distinct sections. 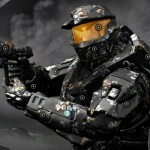 The competitive element was named “War Games,” and contained a number of changes to the classic Halo formula in an attempt to make the franchise more competitive in a market dominated by shooters like Battlefield and Call of Duty. Instead of players competing for most kills, a points system was installed that awarded players for performing a numbers of tasks like scoring assists and healing teammates. Far more options for armor customization were offered, while features like ordinance drops and specializations were added. The cooperative element of multiplayer, named “Spartan Ops,” took the place of Firefight, and involved up to four players teaming up to tackle a series of increasingly difficult missions. Spartan Ops expanded the game’s story past the single player finale by releasing a series of ten weekly “episodes” which, in addition to the combat missions, featured rendered cutscenes with full orchestration and voice acting. 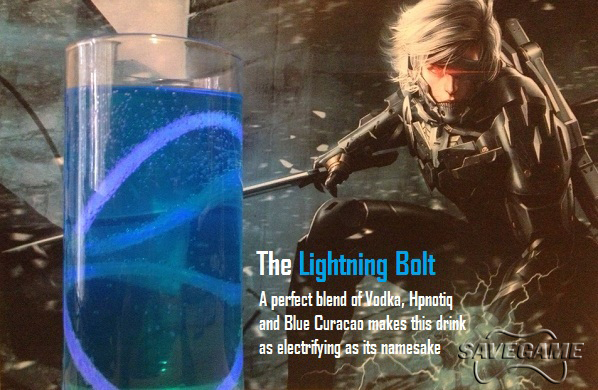 MY THOUGHTS: I’m still conflicted over how I feel about Halo 4. There are aspects of the game that I adore, with Spartan Ops at the top of the list. Conquering each successive mission, and being rewarded with new bits of story, was an exhilarating and addictive experience. The new Promethean enemy, and the revelations about the role they played in Halo lore were fascinating. Oh, and their Promethean weapons were fun as f*ck to play with. At the same time, Halo 4 had some glaring problems. Theater was one of my favorite aspects of past Halo games, and while Halo 4 had one for multiplayer matches, it lacked a campaign theater mode. While promises were made to deliver one with a system update, it never came. Another favorite aspect of Halo for me has always been the relationship between Master Chief and Cortana, and in Halo 4, their bond plays a huge role in the story. While it was handled beautifully for most of the game, I was deeply disappointed with the resolution, and felt that the writers chose the easy way out. After the success of Halo: Combat Evolved Anniversary, fans began to speculate on the possibility of Halo 2 getting a similar high definition makeover. Indeed, 343 Industries was working on a remastered version of Halo 2, but they had larger ambitions for the eventual release. At E3 2014, they announced that Halo 2 Anniversary would be released as part of the Master Chief Collection, a collection of all four Halo games featuring the titular Spartan on one disc. Additionally, the package would ship with access to Halo: Nightfall, a new live action series meant to tie the stories of Halo 4 and the upcoming Halo 5 together. Halo: The Master Chief Collection was released on November 11, 2014. At first glance, it seemed to be everything 343 had promised. Every mission across Halo: Combat Evolved Anniversary, Halo 2 Anniversary, Halo 3 and Halo 4 were unlocked from the start, and each game came complete with all multiplayer maps and game modes. All games ran at 60 frames per second, and were displayed at 1080p. 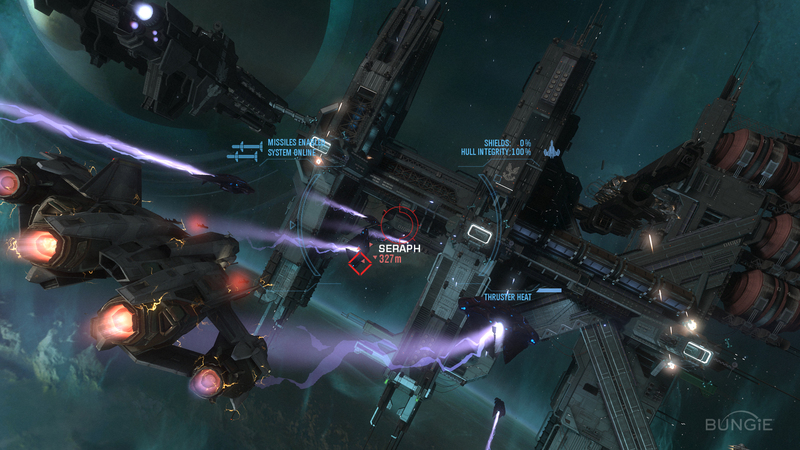 Halo 2 Anniversary featured upgraded graphics and audio, and like Halo Anniversary before it, gave players the ability to switch back and forth between the original and enhanced game engines. The game also included six remastered multiplayer maps and extra cutscenes that bookended the campaign. The problems started shortly after people starting playing The Master Chief Collection. The game was riddled with glitches and bugs, some of which left the game in an unplayable state. Players experienced everything from random texture and pop-in errors to failing to the game locking up at initial loading screen. Multiplayer was hit particularly hard, with matchmaking through XBox Live taking exceptionally long periods of time. When players did manage to get into a match, chances of getting through to the end before crashing back to the loading screen were slim to none. The situation was so bad that Bonnie Ross, head of 343 Industries, issued a public apology, and promised to make things right. A series of patches were released over the next several months that gradually solved many of the game’s issues. As a gift to those who suffered through the game’s initial launch, 343 released a remastered version of the Halo 3: ODST campaign for free. MY THOUGHTS: Not that this will come as a shock to anyone, but I was really looking forward to The Master Chief Collection. Not only was I thrilled at the thought of experiencing Halo 2 Anniversary’s improved graphics and sound, but I was also eager to delve back into Halo 3 multiplayer, which I spent an unhealthy amount of time playing back in the day. But like everyone else, my copy of The Master Chief Collection had more bugs than a cheap motel mattress. Saved progress would disappear. Halo 3’s visual “upgrade” looked suspiciously like a downgrade. Campaign missions would crash back to the main menu. Sometimes, the game wouldn’t load at all. The whole thing felt like it was hurriedly thrown together and sent off to press without any quality control at all. While the free ODST campaign was appreciated, the experience left me feeling more than a little worried about Halo’s future.